The Proust Questionnaire, popularized by the French essayist and novelist Marcel Proust, is said to reveal a person’s true nature through a series of probing (i.e., nosy) questions. 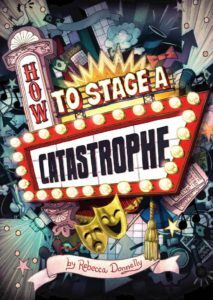 In the hot seat today, Rebecca Donnelly, author of the MG contemporary, HOW TO STAGE A CATASTROPHE (Capstone, April 1, 2017). What is your idea of perfect happiness? If you asked my eldest daughter, she would say: books, tea, slippers, weird chunky cardigan, chocolate, all while hanging out by the wood stove. She’s right, but what she doesn’t know is that I would add two other things to that list: my daughters. What is your greatest fear? Fascism, basically. I won’t say this country has been a perfectly safe place for marginalized people, but there have been some legal gains, and I’m worried that we’re going to lose them. I’m writing this as we’re hearing about these hideous cabinet appointments, and it’s terrifying. What is the trait you most deplore in yourself? Indecision? What is the trait you most deplore in others? Not caring. What is your greatest extravagance? It’s either the $7 bottle of wine I just bought or my fancy double-handled snow shovel. What is your current state of mind? Nervous laughter. What do you consider the most overrated virtue? Finishing every book you start reading from a sense of duty. Which words or phrases do you most overuse? Pretty much. Kind of. Really actually sort of. What do you consider your greatest achievement? Giving the Heimlich to a coworker who was choking on a chickpea. Never gonna stop feeling good about that one. If you were to die and come back as a person or a thing, what would it be? My Brown Betty teapot, just because I know how much happiness I would bring. What is your most treasured possession? I once wrote to Ursula K. LeGuin after I found out that my grandmother grew up across the street from her in Berkeley, California. She very kindly wrote back to me, saying she remembered my “pretty and kind” grandmother, who was a few years older than she was. I’d save that letter from a fire. What do you regard as the lowest depth of misery? Hmmm... I’m going to be very real here for a second: watching someone you love decline and being able to do nothing about it. What do you most value in your friends? The ability to listen without judging or offering solutions. Who are your favorite writers? Sarah Waters, Jhumpa Lahiri, Thrity Umrigar, Josephine Tey, Rebecca Stead, Grace Lin, and the above mentioned all-around lovely human Vaunda Micheaux Nelson. Who is your hero of fiction? Mole from The Wind in the Willows. A creature of comfort who nevertheless manages to have an adventure. Which historical figure do you most identify with? I totally heart the philosopher William James, not just because his brother was Henry James, not just because he came up with the phrase “stream of consciousness” or because he foreshadowed the Peace Corps with his essay “The Moral Equivalent of War,” but because he seemed to possess that crucial element of self-doubt that I admire in people whose job it is to spread ideas. Immovable conviction in your ideology is not always evidence of truth. What is your motto? Besides “You are never too old for picture books” my motto is: “Save all personal correspondence from Ursula K. LeGuin, but above all, listen to others, do not assume that your experience is universal, brush your teeth twice a day, drink plenty of water, and remember that Hadrian’s Wall is a crumbling ruin, the Berlin Wall fell, and the Great Wall of China is a tourist destination.” Catchy, right? 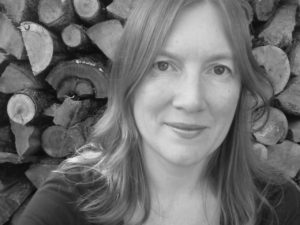 REBECCA DONNELLY was born in England and has lived in California, Florida, and New Mexico. She has an MA in Humanities and a Master’s in Library and Information Science. These days she writes and runs a small rural library in upstate New York. Find Rebecca on her website, Twitter, and Goodreads. Great interview! Thanks for the post! Thank you for introducing me to Rebecca. I’m not familiar with her work, but will change that! The interview was so inspiring, funny and yet down-to-earth. Who would ever think of coming back as a “Brown Betty” teapot. I don’t even know what it looks like.